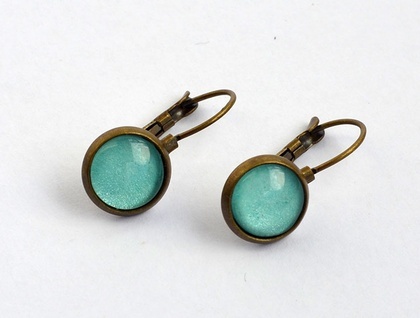 These cute little glass dome lever back earrings are the latest addition to my earring range. 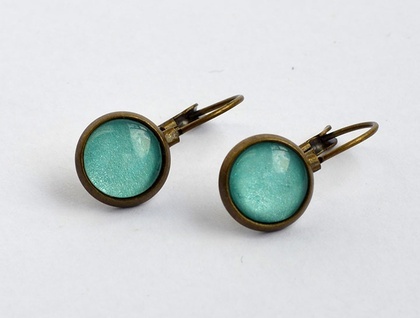 They are made in my signature style, a clear glass dome over shimmering aqua colored paper. 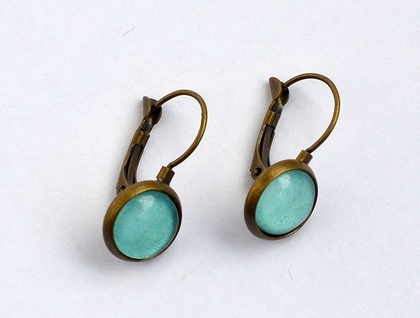 The 10mm glass is set into a brass bezel that is 12mm in diameter - that drops from the ear lobe slightly. 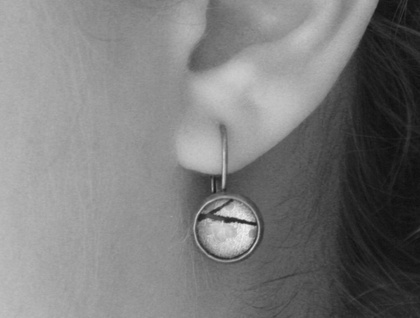 The last photo does not display this pair of earrings, but is intended to show you how this style looks on a model.